The event begins with a delicious lunch and a few inspirational student performances followed by an interactive murder mystery experience. Participate in a hands-on murder investigation where your table will help examine the evidence and solve the case. 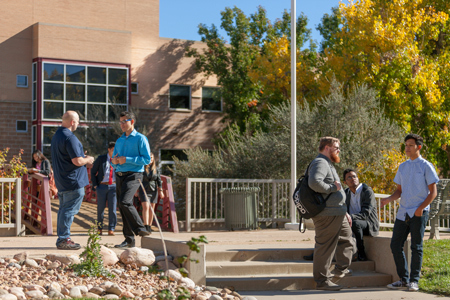 You will experience a taste of how the Community College of Aurora prepares its students with the academic, strategic thinking, and real-world problem solving skills that have made our students some of the highest earning community college graduates in Colorado. To find out more about how to become a sponsor CLICK HERE. In October 2016, the CCA Foundation launched an internal campaign with CCA faculty and staff. First, a huge THANK YOU to all the staff and faculty at CCA – you are the real life changers. 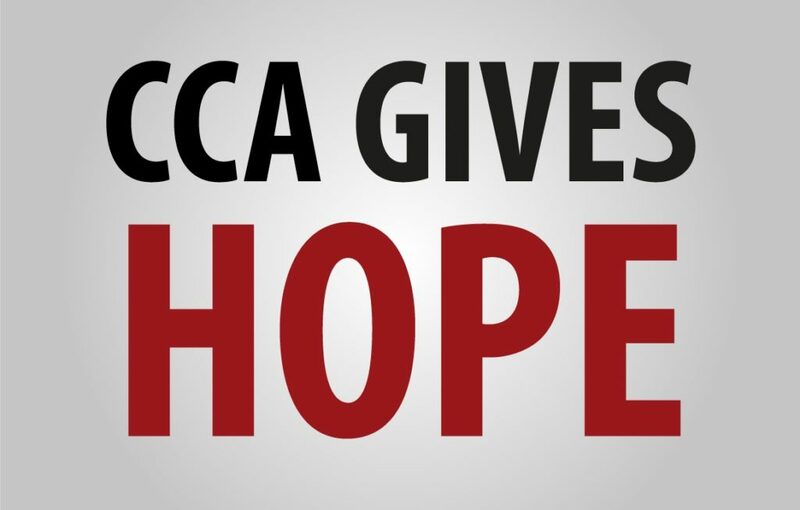 The first annual CCA Gives Hope Campaign raised $17,025, a 66% increase from internal donations made in 2015. One-hundred percent of the dollars raised will go directly to student programming and scholarships. Based on data from the fall 2016 semester, 74% of scholarship recipients were first-generation students. Ninety CCA staff/faculty members participated in campaign, which was a 173% increase over the previous year. This participation increase is proof of the commitment and passion of our faculty and staff for student success through recruitment, retention, and completion. This year has been one of excitement, milestones, and a new accomplishments for the Community College of Aurora (CCA) and the CCA Foundation. Lynn Adams, has joined the CCA Foundation as the Assistant Director of Donor Relations. 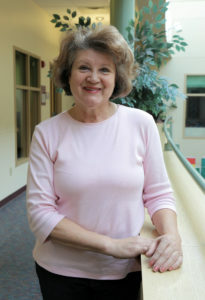 Prior to joining CCA Foundation, Adams was a development associate for the Crisis Center in Castle Rock, Co. The Crisis Center focused on assisting victims of domestic violence. At the Crisis Center, Adams was responsible for community outreach, building donor relationships and facilitating third party events. During her tenure, she increased third-party fundraising by two-hundred sixty percent. Additionally, she also helped to develop a peer-to-peer outreach program in Douglas County high schools on consent, body safety and healthy relationships. Adams’ primary focus will be to develop, lead and drive CCA Foundation’s fundraising and donor appreciation/cultivation events. She will also share responsibility for providing vision and strategic direction for the foundation’s donor stewardship and engagement efforts. 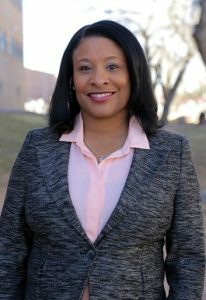 Adams completed her Master of Arts degree in Public Relations and Organizational Communication at Wayne State University. It was here that she learned that she wanted a career that would allow her to help others and be a voice for change in her community. In addition to more than fifteen years of event planning experience, she teaches a monthly workshop on event planning and fundraising at Colorado Free University. The end of April marked the second year since the Aurora Gives Scholarship launched in 2015. 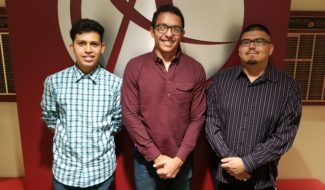 The Aurora Gives Scholars program initially partnered exclusively with Aurora LIGHTS Health Sciences Academic and Career Pathway at Aurora Central High School, a program that leads economically disadvantaged students into health care professions. 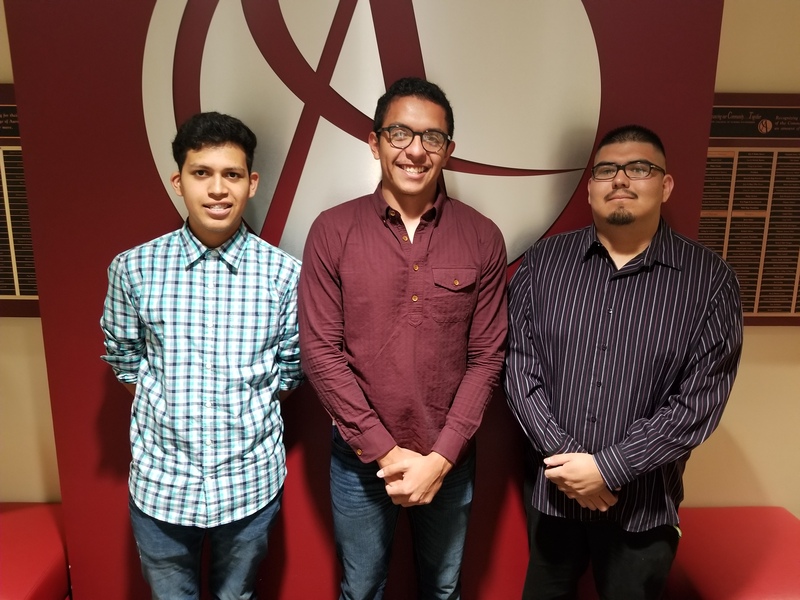 The Aurora Gives Scholars program was created to provide select graduating high school seniors with debt-free access to an Associate Degree from the Community College of Aurora (CCA). The scholarship funds the cost of tuition, books and fees through the completion of an Associate Degree at CCA, and provides students with a Chromebook, providing they forego federal loans during their enrollment in the program. In 2015, the CCA Foundation selected six students from the Aurora LIGHTS program at Aurora Central. 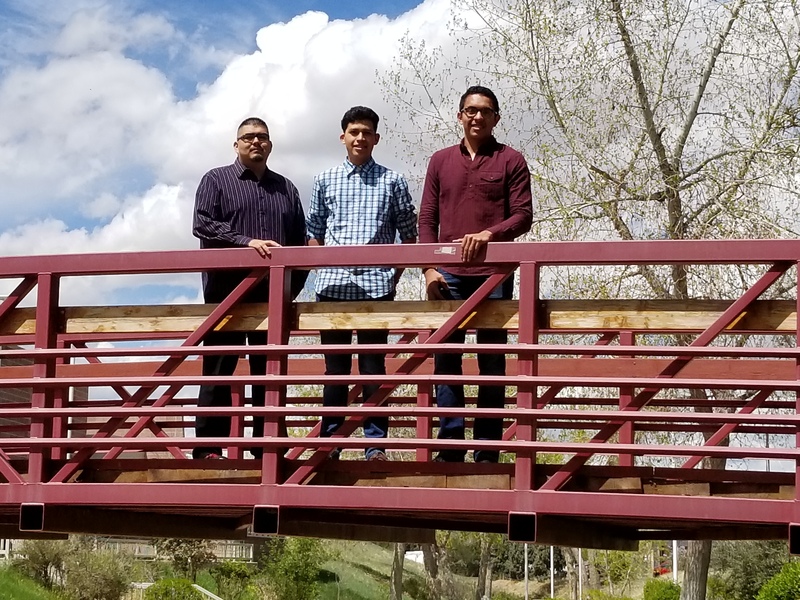 Three of the original six will be graduating on Saturday, May 6th, with their Associates Degree. 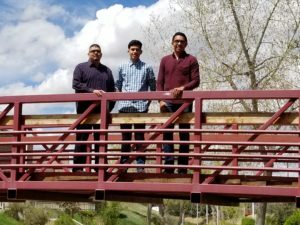 All three students have been accepted to four-year universities. In addition to the success of the three students continuing their education, the Foundation created partnerships with ten additional youth focused organizations this year. The CCA Foundation is proud to welcome twelve new graduating high school seniors as Aurora Gives Scholars. These students will begin their CCA journey in the 2017 Summer/Fall semesters. A special thanks to our existing partners AURORA LIGHTS, ACE Scholarships, Boys and Girls Club, Boys Hope Girls Hope, Colorado Uplift, Denver Urban Scholars, ELK (Environmental Learning for Kids), Goodwill, KIPP Colorado, Lotus School for Excellence, Ridge View Academy, Teen Court, YAASPA (Young Americans Aspiring for Social and Political Activism), and YMCA. We could not do any of this without your support. I did not have a normal childhood. Life for me was turbulent, neglectful, abusive and dysfunctional. I was orphaned and homeless at the age of 17. I decided to join the Army and started out as a Combat Medic during the last few years of the Vietnam War. After ten years of military service, I married and had children. My pregnancies were difficult and life-threatening. My health suffered greatly. I tried a college class or two, but my children and family always came first, and my education became just a dream. As a single mom that has worked two and three jobs at a time since my youngest daughter was small, I missed my most of my daughter’s childhood. Wanting something more for my family, I decided to volunteer in the Emergency Department at the Colorado University Hospital. They wanted to hire me full-time, but I needed an Associate’s degree. This was the beginning of my CCA journey. I have maintained a 3.8 GPA, while working evenings for Aurora Public Schools. After graduating from CCA in May 2017, I plan to attend Metro State University of Denver and earn a Bachelor’s degree in Psychology/Human Growth and Development and a minor in education. I want to pay it forward, helping families, displaced homemakers, single mothers, or veterans. I am thankful for the scholarships and support from CCA, without which I could not be achieving my educational and life dreams. Thank you. If you have named CCA Foundation as a beneficiary of a planned gift or to learn more about how you can include CCA Foundation in your estate plan, please contact John Wolfkill at 303-360-4833.